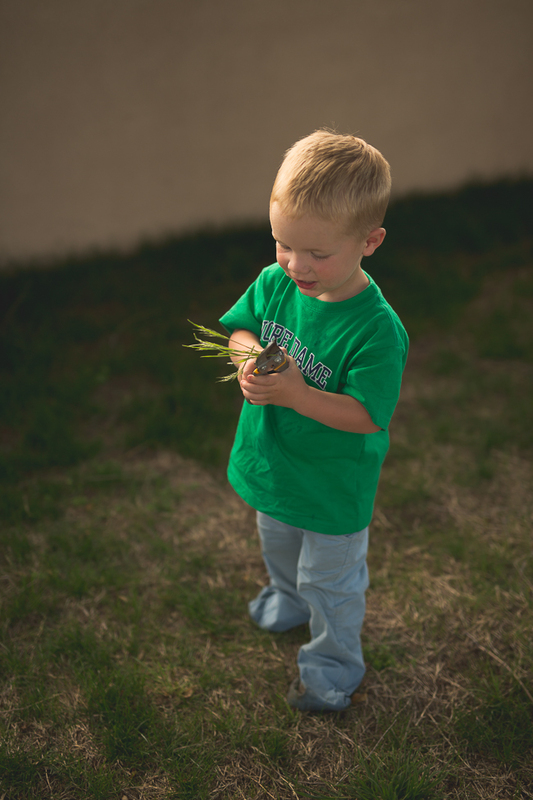 Carter // 5 - We were all working in the yard, and Carter was in charge of watering the flowers. 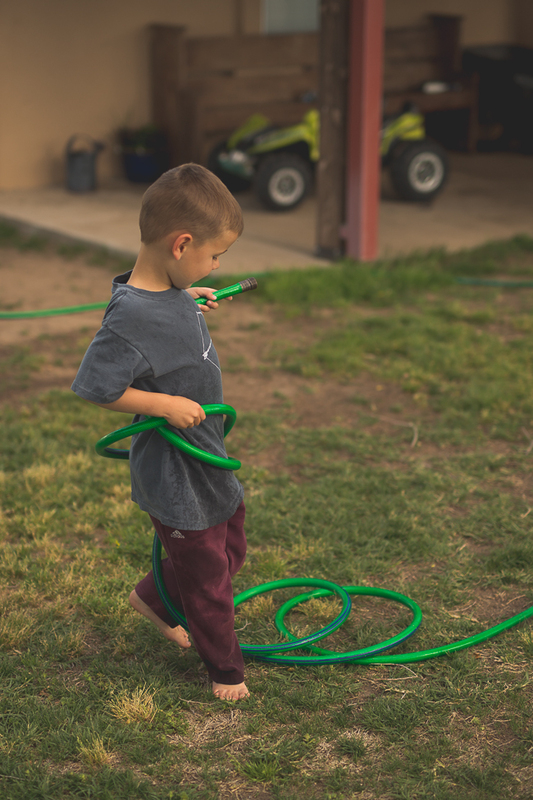 He thought it would be a bit more fun if he was tangled up in the hose while doing so. Peter // 3 - He's really not a fan of me taking picture of him very often. I don't blame him. 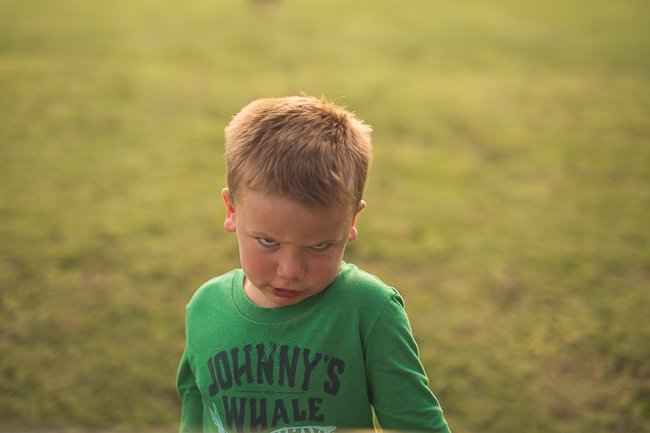 I probably do it too much, but this is the face I got when I pulled out my camera. John Paul // 2 - He was in charge of cutting the little saplings off of the trees, but he thought clipping the grass was a better job. 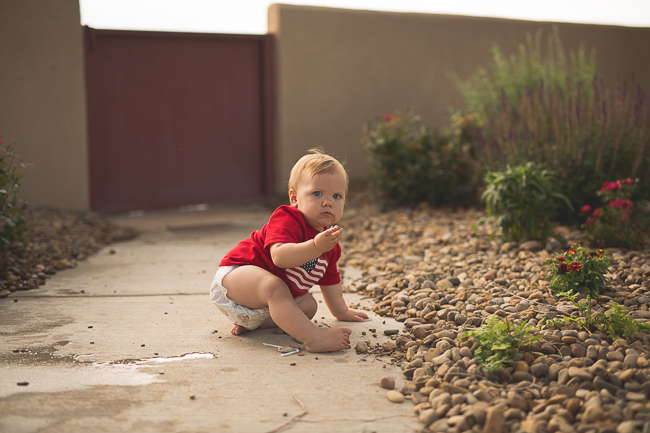 Sophie // 1 - She was just sampling the rocks. Peter's face. I'm dying. I feel like that most days! Ha!! I'm with tiff!! That face!! Such cute pictures!!! Sophie is such a doll!